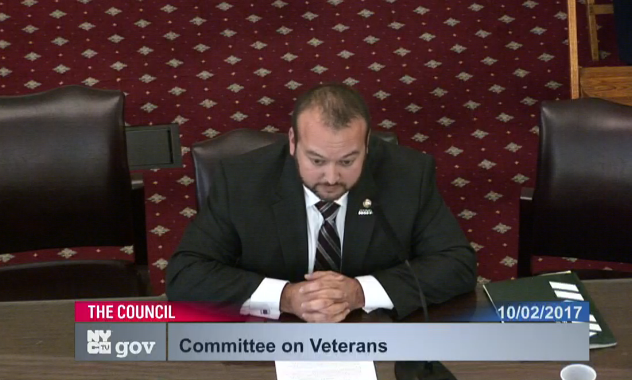 Today, IAVA Deputy National Field Director, Marine and Iraq War veteran Anthony Pike delivered testimony before the New York City Council Committee on Veterans to discuss oversight of the newly created NYC Department of Veteran Services. IAVA helped to create a Department of Veterans Services, and has been advocating on behalf of NYC veterans for more than a decade. More than 230,000 veterans call New York City home. Learn more about how IAVA fought on their behalf to create the NYC Department of Veterans Services: https://iava.org/NYCvets/. Chairman Ulrich, and Distinguished Members of the Committee, on behalf of Iraq and Afghanistan Veterans of America (IAVA) and our more than 400,000 members, I would like to thank you for the opportunity to testify here today on the oversight of the New York City Department of Veterans Services (DVS). My name is Anthony Pike, Deputy National Field Director at IAVA. I am also a Marine Corps veteran who has served two tours in Iraq. After thirteen years, IAVA has become the preferred empowerment organization for post-9/11 veterans. While our members are spread throughout the nation, we are proud to say that our national headquarters is located here, in the great city of New York. Since its beginning IAVA has fought for and has been successful in advocating for policies that are able to meet the needs of our newest generation of veterans, which includes our advocacy towards the creation of the DVS. A great deal of IAVA’s advocacy pertains to fighting to empower veterans in Washington, D.C. However, it is also our view that helping veterans return home is a responsibility of all Americans, which includes state and local governments. That is why DVS is so important. For veterans who live in New York City, DVS has enormous potential to assist them in obtaining housing and employment, expanding their educational opportunities, and promoting their transition from military to civilian life, among other matters. Our primary concerns regarding DVS in this particular oversight hearing are that while DVS is well manned and funded, DVS has not had the overall positive impact that New York City veterans and taxpayers expect them to. This is unacceptable, and it is exactly why vigorous oversight by this committee is needed. 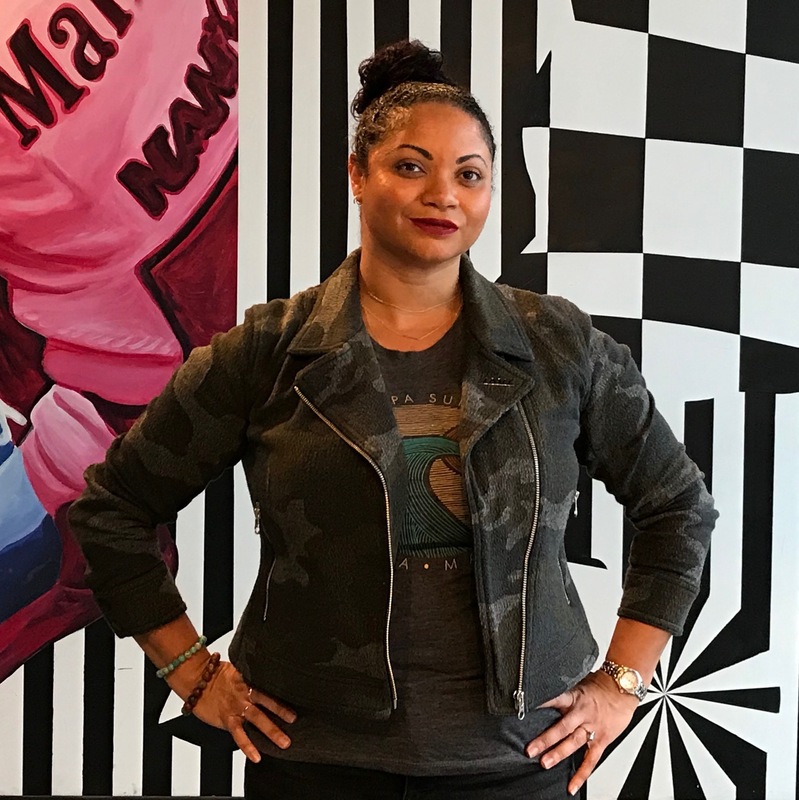 In advocating within the halls of Washington, DC, IAVA has found that strong governmental oversight is critical in ensuring that veterans get the benefits they need, and that those benefits have a positive impact on their lives. This oversight, conducted properly, does justice to both veterans and the public servants that serve them. Oversight ensures that an agency is faithfully executing the policies it is responsible for, that the public servants that work within an agency are adequately empowered to do their jobs, and that the agency’s clients, in this case New York City veterans, are receiving positive outcomes in utilizing the agency’s services. With an adopted budget of $4.4 million for Fiscal Year (FY) 2018, DVS should be at the forefront of caring for and empowering New York City veterans. However, this has not been the case. Many IAVA veterans have reached out to our Rapid Response Referral Program (RRRP) to share the shortfalls of DVS in serving veterans. One of these shortfalls is the disconnect between DVS employees and New York City veterans advocates, to include IAVA. Several New York City veterans advocates have told us that while many DVS officials mean well, they frequently are not receptive to their professional opinions in addressing veterans issues. Allowing a status quo where DVS shuts out the very advocates that helped create DVS lends itself to a loss of trust, and missed opportunities in serving New York City veterans. This disconnect is further evident within DVS’s Veterans Advisory Board (VAB). According to DVS’s website, the purpose of VAB is to hold regular meetings and through those meetings, “…New York City veterans [ensure] the lines of communication are maintained and [cultivate] an active community.” Yet in meetings that our own staff have attended it is obvious that VAB meetings are conducted with little direction and have produced minimal value. Another concern of ours is the issue of DVS salaries, specifically, our view that some of those salaries are excessive. Within its budget DVS has one-third of its employees making over $100,000 a year, placing these particular staffers among the top-earning 11% of New York City government employees. This is on top of the fact that Commissioner Loree Sutton, who leads DVS, is the second highest paid special assistant that Mayor de Blasio has appointed. We fought hard for DVS to be established and well funded. IAVA also fought hard against a proposed decrease of $317,038 of DVS’s budget earlier this year. However, IAVA and our allies fought for those funds so that they can be utilized to serve New York City veterans—not improperly enrich city officials. For the sake of New York City veterans and taxpayers, we encourage this committee to investigate. While well meaning, IAVA sees such a project as having little value to our veterans or the city as a whole, especially when too many New York City veterans still struggle with issues regarding housing, education, employment, and mental health. Programs of artistic expression for veterans are a nice adjunct as long as they are not a drain on the time and resources of DVS. And while the $1.4 million being used to fund this project comes from philanthropic funds, it is our view that the taxpayer funded shepherding of this project by DVS is money and time that would be more effective if used to help veterans in their everyday lives. Thus, It is our view that DVS’s shepherding of this program should be suspended or drawn down. Fundamentally, we must be committed to adequately addressing the challenges that New York City veterans face, not covering them up with hollow and unneeded displays of support. IAVA is a data-driven organization, and as such we have always advocated that metrics be applied in assessing veteran outcomes so they can provide the best outcomes to veterans. We are sure that if asked, DVS supervisors could provide a wide range of their agency’s accomplishments, but without organizational metrics to assess them as concrete outcomes creates an image that is dubious at best, and deceitful at its worst. 1) Set outcome metrics to better define the impact of treatment methods for invisible wounds i.e. PTSD, major depression, 2) Streamline and focus the Veterans Health Administration’s organizational performance measures and establish the same in a personnel performance measure system, and 3) Require schools that receive GI Bill funds to report on the progress of student veterans to include data collection to provide oversight of school performance and student success. Like-minded metrics can, and should be, applied to DVS. IAVA itself has applied metrics as a service standard to our Rapid Response Referral Program (RRRP), which is staffed our by our team of masters-level Veteran Transition Managers (VTM), case managers who assist veterans worldwide in confronting significant challenges like unemployment, financial or legal struggles, homelessness, and mental health related issues. We do this by sending surveys every time we make a referral and when the case is closed. The client is able to rank every referral we make: Quality, Timeliness, Effectiveness, and Customer service of each one of our referral partners. We also provide the opportunity to the client to grade RRRP, as well as the VTM they were working with, using the same metrics once the case is closed. At IAVA we believe in candor, and by providing the veterans we serve that opportunity to grade our RRRP services and provide feedback this way has enabled us to make continuous improvements to our RRRP program. In fact, we are currently in the process of adding even more metrics to our RRRP assessments in order to better understand our population, better serve our clients, and make targeted improvements. Lastly, IAVA is concerned that the VetConnect NYC program has not been provided all the tools it needs in order to fulfill its mission of providing a digital infrastructure for veterans to gain city-wide access to benefits, assistance, and resources. In our RRRP team’s interactions with VetConnect NYC we have found them to be very responsive and well meaning, but we have had challenges integrating both of our systems in serving New York City veterans. One of the challenges is a burdensome increase in the amount of digital paperwork needed to sync the work of our RRRP team and VetConnect NYC. Last year VetConnect NYC was budgeted $116,000. Since then, they have had a substantial increase in their funding for a FY2018 total of $884,000. As VetConnect NYC continues to find its footing as a platform we encourage this committee to provide them with the oversight and tools they need to be successful. Given the challenges that veterans encounter when transitioning from military to civilian life, it is absolutely critical that this committee conduct proper oversight of DVS. Doing so does right by the men and women who have sacrificed in service of our nation. Members of the Committee, thank you again for the opportunity to share IAVA’s views on this issue today. I look forward to answering any questions you may have.